CPSC Grants One Year Stay of Testing and Certification Requirements for Certain Products!!!! We've been HEARD! The following is directly from the CPSC website...just today! WASHINGTON, D.C. - The U.S. Consumer Product Safety Commission voted unanimously (2-0) to issue a one year stay of enforcement for certain testing and certification requirements for manufacturers and importers of regulated products, including products intended for children 12 years old and younger. These requirements are part of the Consumer Product Safety Improvement Act (CPSIA), which added certification and testing requirements for all products subject to CPSC standards or bans. 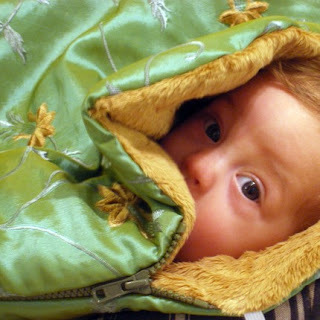 Significant to makers of children’s products, the vote by the Commission provides limited relief from the testing and certification requirements which go into effect on February 10, 2009 for new total lead content limits (600 ppm), phthalates limits for certain products (1000 ppm), and mandatory toy standards, among other things. Manufacturers and importers – large and small – of children’s products will not need to test or certify to these new requirements, but will need to meet the lead and phthalates limits, mandatory toy standards and other requirements. The decision by the Commission gives the staff more time to finalize four proposed rules which could relieve certain materials and products from lead testing and to issue more guidance on when testing is required and how it is to be conducted. The stay will remain in effect until February 10, 2010, at which time a Commission vote will be taken to terminate the stay. The limits on lead content of metal components of children’s jewelry effective for products made after March 23, 2009. Certification requirements applicable to ATV’s manufactured after April 13, 2009. Pool drain cover requirements of the Virginia Graeme Baker Pool & Spa Safety Act. 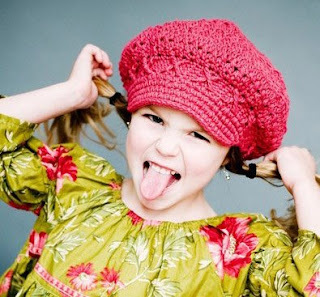 The stay of enforcement provides some temporary, limited relief to the crafters, children’s garment manufacturers and toy makers who had been subject to the testing and certification required under the CPSIA. These businesses will not need to issue certificates based on testing of their products until additional decisions are issued by the Commission. However, all businesses, including, but not limited to, handmade toy and apparel makers, crafters and home-based small businesses, must still be sure that their products conform to all safety standards and similar requirements, including the lead and phthalates provisions of the CPSIA. Handmade garment makers are cautioned to know whether the zippers, buttons and other fasteners they are using contain lead. Likewise, handmade toy manufacturers need to know whether their products, if using plastic or soft flexible vinyl, contain phthalates. The stay of enforcement on testing and certification does not address thrift and second hand stores and small retailers because they are not required to test and certify products under the CPSIA. The products they sell, including those in inventory on February 10, 2009, must not contain more than 600 ppm lead in any accessible part. The Commission is aware that it is difficult to know whether a product meets the lead standard without testing and has issued guidance for these companies that can be found on our web site. The Commission trusts that State Attorneys General will respect the Commission's judgment that it is necessary to stay certain testing and certification requirements and will focus their own enforcement efforts on other provisions of the law, e.g. the sale of recalled products. Please visit the CPSC Web Site for more information on all of the efforts being made to successfully implement the CPSIA. Statements on this vote by Acting Chairman Nancy Nord and Commissioner Thomas H. Moore are in portable document format (PDF). 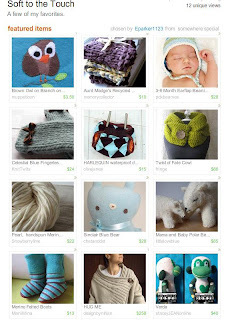 you can view this treasury for a couple of days here! Thanks for including my new rocket applique cover! 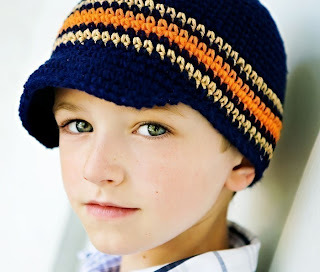 I'm in love with these hats from Eugene Oregon...so cute. New kid on the etsy block! My sister Kendra just opened up an Etsy shop a couple weeks ago. She is an amazing seamstress, I wish everyday that she could live near to me...I know that together we could make big things happen. Kendra is the kind of person EVERYBODY loves and loves being around. She is fun, beautiful, talented, positive, and kind...she makes you feel good about yourself and want to be better. And most importantly she loves chocolate too! The only problem with Kendra and her new shop is that she is so brilliant at making so many things that she's having a hard time figuring out what to focus on. Please welcome my sister into her new store and spread the word to others that may be looking for high quality, hand made with love children's clothing and paraphernalia. She loves custom orders and can make anything, give her a try...I dare you! Congratulations Ken, I wish you many successes. Love you. So is it any wonder that I've been soooo behind in blog posts with 4 kids, my job with JetBlue, housework up the ying yang, swimming/basketball/scouts/preschool/school and kindergarten drop offs/pick ups, home owners association board, church responsibilities and of course trying to run my little business that has been growing pretty fast...earlier this week I was behind 36 diaper covers! Oh and my husband needs attention sometimes too and of course I want his attention also! :) If all this wasn't enough we have the CPSIA looming in the distance threatening it's effect on Feb 10th. I am desperately trying to get all elements of my diaper covers etc. tested to be in compliance with CPSIA. It's not as easy as you would think. It's very difficult to find labs that are certified to test in compliance with CPSC regulations and the turn around time is long, it's expensive and very labor intensive and frustrating. I'm just trying to save my business and ensure its growth, I think I've got a good thing going and I'm pretty sure that others do also. Tonight I spent a couple of hours getting together samples of elastic and hook and loop (Velcro) and a diaper cover for submission for testing. It was a long process but hopefully it will have a positive outcome and we can post the certificate for others that use the same product/manufacturer and save them some time and energy. Please keep your fingers crossed that this will all come together and won't be painfully expensive...wishful thinking. I told my sister Kendra that if I have to close up shop I would sell her my designs and she can start making them from Canada where the CPSIA doesn't apply. I guess I can still make covers and children's clothing for my international customers just not the ones in the country in which I reside. I had to make a tutu for a friends' daughter's birthday, she is ABOUT the same age as Seth....and....I needed a model! Tell me I haven't scarred him for life? So we've lived in Utah now for 9 years! (can hardly believe it) Both of us come from big basketball loving families and yet we have NEVER been to a Jazz game! How appauling! We have a friend that works for Larry H. Miller group (the owner of the Jazz)periodically he gets free tickets and they gave them to us. I made sure that they didn't want them seeing as they were center court 20 rows up amazing seats and his wife said, and I quote "(my husband) hates sports and said he would rather get a root canal then watch a basketball game!" Wow, he must really hate sports. So we gladly took them, it was really fun. Stephen and I had a great time critiquing the players and their finesse, we were shocked and humbled to see that all but one of the Jazz players are younger than Stephen and ALL of them are younger than me and make about 25 times what we make! Great game though, could have done without our neighbors next to us that got up about 15 times during the game and became increasinly inebriated but oh well, can't win them all....but the Jazz did by the way! Thanks for the tickets Steve and Melanie! A new treasury, it's a cute one! You can view it for a couple days here! 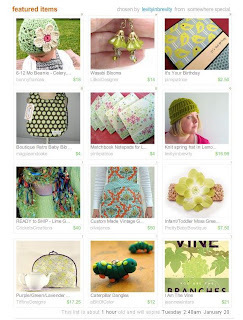 One of my Utah Etsy friends created a fun treasury based on her favorite color of green. Also HERE is the link if you want to check it out and add your comments and check out the items from the other artists. 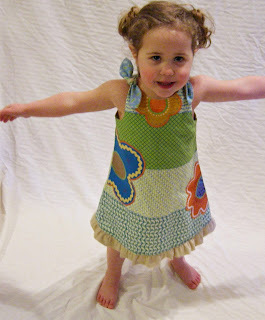 Special thanks to Christine for modelling my cute apron, that now has a happy home! I had one of my covers reviewed by Lee Alport who has an award winning blog and is a writer of an popular online magazine. It's a great review and along with the review is another giveaway! Feel free to enter Lee's giveaway and win win win....she has lots of giveaways of amazing products on her blog as that's what she does, review products that have everything to do with mothers/fathers and kids! Check it out right here! "Honey, you can put in a movie we have several to choose from instead of that dumb info-mercial"
"Are you kidding me? I've always wanted a clothes steamer!" "Really? Are you kidding me? I never knew that about you!" "Think of the time it would save me ironing my shirts and I could steam my suits and not have to take them to the cleaners!" So to put this in perspective my husband attended the Air Force academy where he had to literally iron his sheets. He has relaxed quite a bit but he is all about having things pressed and shined and sharp looking. So I bought him a steamer for Christmas (the only thing he got for Christmas...we were trying to be really frugal this year). So there you go my husband, hot and steamy...knock yourself out honey! 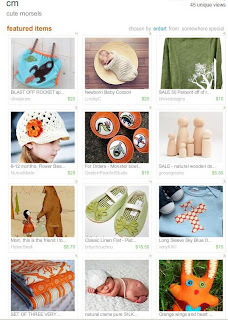 A lady emailed me today saying that she found me on Cool Mom Pick.com which is an award winning blog specializing in finding unique and cool things and then sending them out there in cyberspace allowing it's readers to make them popular or not. 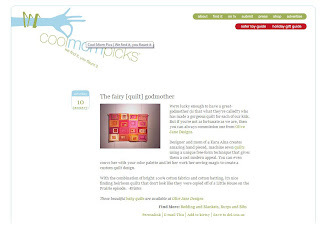 It was a very cool review of my baby quilts, thank you for the endorsement CoolMomPicks! Sure appreciate it! Happy 100th Sale To Moi! 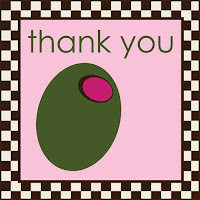 Congrats to mistyspringfish who's purchase made my 100th sale. She is receiving a free diaper cover of her choice! I really appreciate Misty and patronage, she is a return customer as luck would have it and I'm thrilled that she won. Because of loyal customers like her my tiny business is doing well and might enable me to squeeze out my other part time job and only do Etsy and spend more time with my children, exactly where I want to be...deliriously happy swimming in my sea of testosterone (four boys and my hubby!) Wouldn't trade it for the world. If you missed the interview you can watch it on our Utah Etsy Team website right here! 1) blog about my covers/products on your blog and link it to me and drop me an email at olivejanedesigns [!at] yahoo.com, random winner will be chosen monthly. 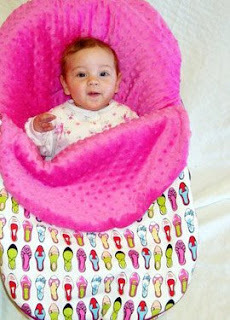 2) be my 100th sale and you will receive a free diaper cover! Coming soon!! Snap options for diaper covers AND ruffles for those little bums, just in time for summer and showing off whether crawling, walking or swimming!....providing I'm still open for business come Feb 10th! Fingers crossed! Today Amanda Butterfield from KSL Channel 5 came over to my home and interviewed myself and 3 others from our Utah Etsy Team . The topic?? CPSIA Many of you may know what it is, it is a heated topic amongst many online boards and groups. CPSIA stands for Consumer Product Safety Inspection Act and could potentially shut down thousands of small businesses across the nation that sell products for intended for children under 12. You can read about it more here. In the face of an already crumbling economy it will devastate thousands, whether it's your hobby or your livelihood. Please take a minute to sign petitions or write to congressmen/senators...anyone who will listen as it will heavily impact our economy, landfills, employment rate and ultimately our families. If you can't watch it on TV then please check it out on KSL online and leave a comment...the more comments and "click" we get keep it on the front page of the website and will draw attention to this topic. Every Friday I take my boys to the library where they pick out a movie and IF, BIG IF the family room and their rooms are clean they get to have......MOVIE NIGHT! Elated are they to consume massive amounts of homemade popcorn (no matter how big a supper they had) while watching a rousing episode of the Flinstones! Friday nights always finish with a sleepover in the family room crashing on bean bags, couches or in homemade forts...the joy of being a little boy! Efforts to make Christmas Vacation amazing edition number 3...sliding at our cousins house in the country! I am the only one of my family in the US, I miss my family SO MUCH it hurts...particularly at Christmas and New Years...which is why I take every opportunity I can to spend time with my aunt Jennie (my only relative living in the US) her amazing husband Dave and their phenomenal children. Sounds too good to be true right? No, honestly this family is top notch, I can only hope that mine will turn out a fraction as well, I keep asking her secret ingredient but so far she is with holding it from me. Her oldest daughter Amber and I have children the same age and Amber and they live in this picturesque area to the south of me equipped with great sliding hills and a Nintendo Wii (which we don't have!). It is my boys idea of heaven (except for the dogs which they are terrified of). Blessed am I to have such amazing family if only 45 minutes away! New Years Eve with monkeys and yellow snow! In my efforts yet again to make the boys' Christmas vacation memorable I decide at the last minute that I really should do something special with the boys for New Years Eve even though Stephen is working. The difficult thing is that I had to work at 9:00pm also and that meant everyone had to be in bed asleep by 9pm so I could start my shift...a little stressful. I took the boys to the zoo for "zoo lights" a very cool light display with every animal you can imagine encapsulated in a twinkling display. The boys were on their BEST behaviour which I was grateful for although Simon did not like the cold and there was a LOT of walking to be had. The boys were a little disappointed that most of the animals went "home for the winter and will be back to visit in spring" but they settled for the odd cougar, bobcat or tiger slumbering in the snow. Good sports! I also have to point out the gorgeous hats that my darling mother made for me and the boys! Isn't she amazing? She would be proud to see them all keeping them on, especially Simon! Love you Mom, thanks for the treasure! Any creative juice I have running through these veins I owe to my mother, she is the queen of making a gourmet meal out of nothing and an evening gown out of a brown paper bag. On the way out the door of the zoo my 3 year old says "thank you mommy for to taking us to the zoo! ", the older two chime in "yeah mommy you rock our world, thanks I'm exhausted but it was fun". Music to my ears, guess it was worth the stress and the 18 bucks! Only after we get all the way to the car (which was not an easy feat!) Simon crying all the way, (he was so beyond exhausted)did Seth inform me that he needed to go potty and it could "definitely not wait". We were parked quite a way from the zoo and consequently the bathrooms. What did I do? Just what every resourceful mother would do, found an empty cup and placed it underneath his parts and said "ok, pee"...he was so shock that he had a little difficulty producing the goods but eventually relinquished, only to my surprise did I realize that the 'tumbler size cup from Costco' might not hold all that was inside this little 3 year old. I was freaking out (inside...never let them see you sweat! )...relieved I was to find that he finished with an inch from the top of the brim! Phew! I promptly disposed of it on a snowbank, moral of this story? Don't eat yellow snow! Hope you and yours have a very happy New Year! Welcome to my world of being an art teacher, full-time mommy, and law school student's wife. These are the comings and goings of this little lady and her entourage of five men (hubby plus 4 sons).